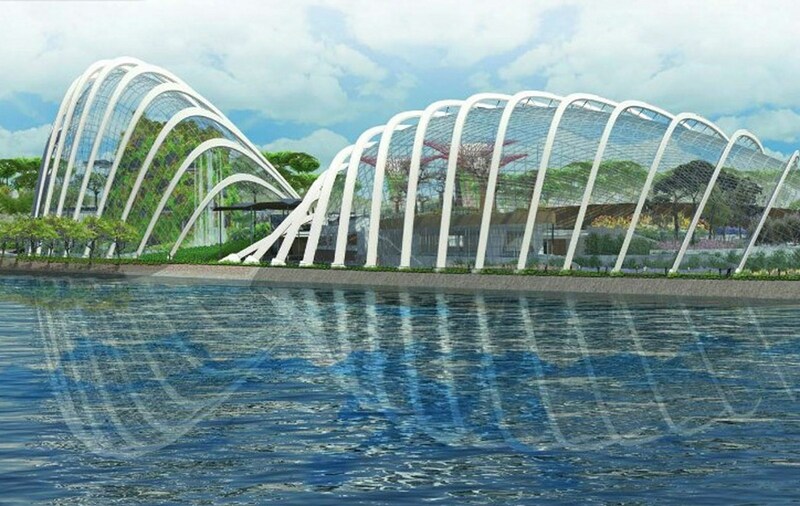 Gardens by the Bay will be Singapore’s largest garden project and is central to the country’s continued development of Marina Bay. Managed by the Singapore‘s National Park Board, the gardens were designed by a team of two firms: landscape architects, Grant Associates and architects, Wilkinson Eyre Architects. The gardens will feature two cooled conservatories – the Flower Dome (cool dry biome) and Cloud Forest (cool moist biome), as well as themed horticulture gardens, heritage gardens, and hundreds of thousands of plants from around the world. One of the more impressive elements will be the Supertrees, which are tree-like structures ranging in height from 25 metres and 50 metres in height (9 to 16 stories). 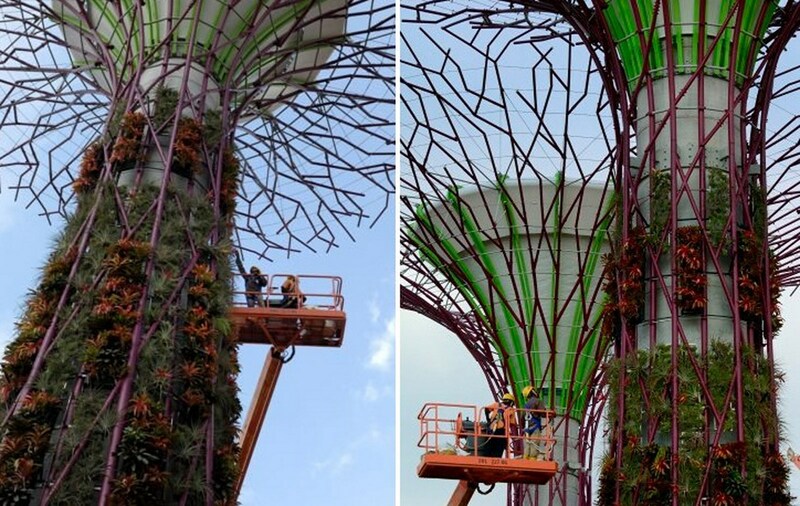 There will be 18 Supertrees, which act as vertical gardens covered with tropical flowering climbers, epiphytes and ferns. 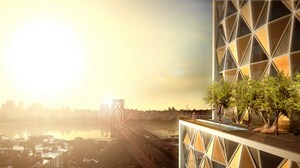 During the day, the trees and their huge canopies will provide shade, shelter and help moderate temperatures. 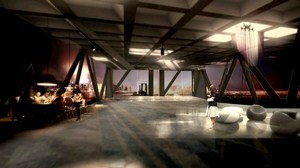 Then at night, the canopies will come alive with special lighting and projected media. Eleven of the trees are embedded with solar photovoltaics to generate electricity for lighting and water technologies to help cool the conservatories. Walkways will connect a couple of the taller Supertrees together so visitors can see the gardens from up high. 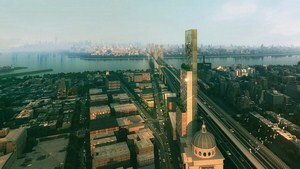 And the 50 meter Supertree will feature a treetop bistro offering panoramic views of the bay and the surrounding gardens. 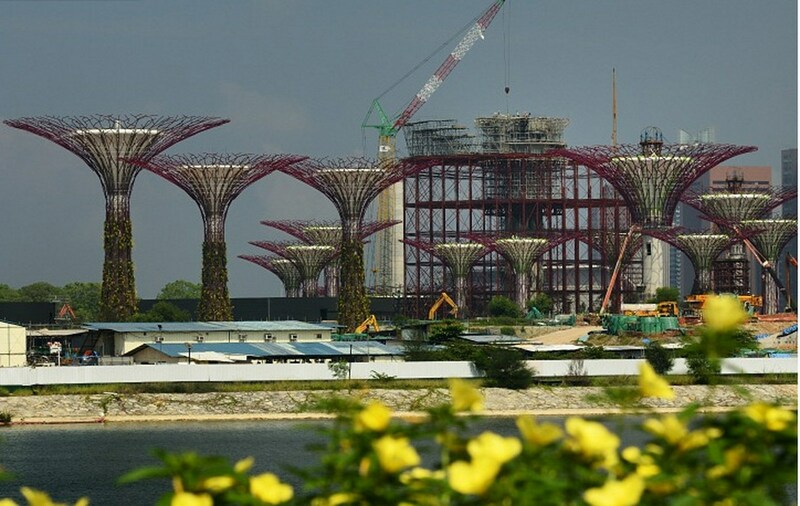 Bay South at Gardens By The Bay is expected to be complete in June 2012.